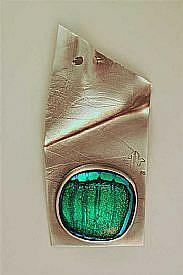 This is my RIP of Robin McGee's sterling silver pendant called the Eye of the Seven Seas. I wanted to paint it to see if I was up to the challenge of duplicating the amazing saturated color of the glass cabochon and the textured silver metal. 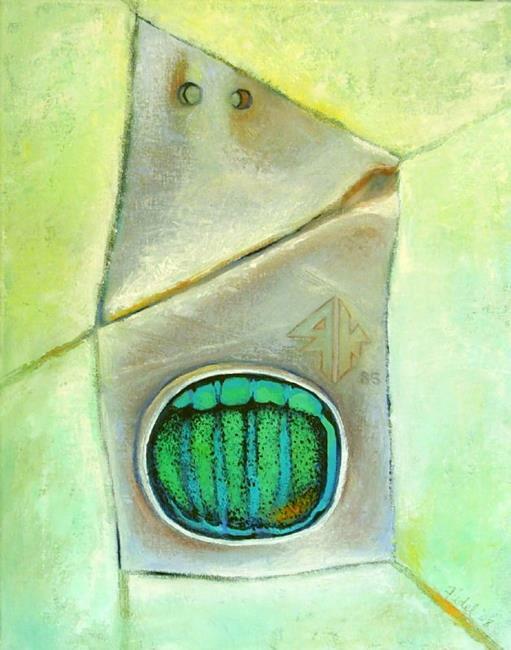 The large scale of my painting seemed to imbue the pendant with a large personality, and I was amused by the way it began to look like a Tiki god. Do you see that too? Thanks for the chance to do this Robin! Robin's original pendant is in the detail photo below.